I am not sure you need a STC. Dual oil coolers are standard on Cherokee 6s starting in 1974. I suggest you point this out to your mechanic to see if he will install the second oil cooler based on the information in the parts book. I got this information from the Cherokee 6-260, 6-300 and 6R-300 parts manual. The manual part number is 753-669 dated Feb 20, 2014. 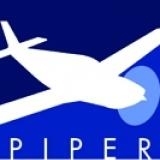 There could be a PIper service kit addressing this but I don't have access to all the Piper service information right now. Check with your mechanic and get back to me. Steve, This may be what I need. I will call my AP in the morning. Much as Grasious!